Top: Express (similar here). 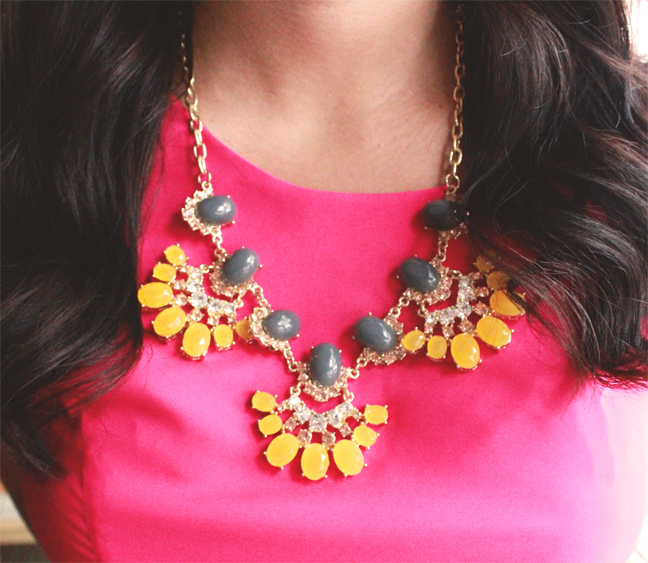 Necklace: Nordstrom. Planner: Erin Condren. 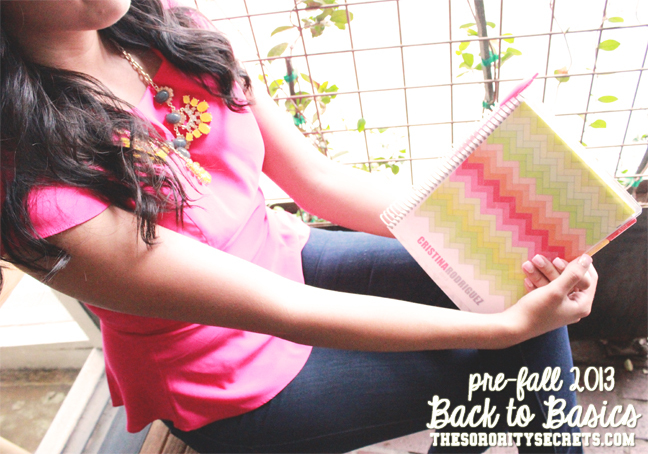 In preparation for the semester ahead, we're putting together a few of our favorite staple items: hot pink, statement necklaces, and our trusty Erin Condren Life Planners. Call them "basics" if you will; these items are a part of our weekly rotation. And the planner? Part of our daily routine! 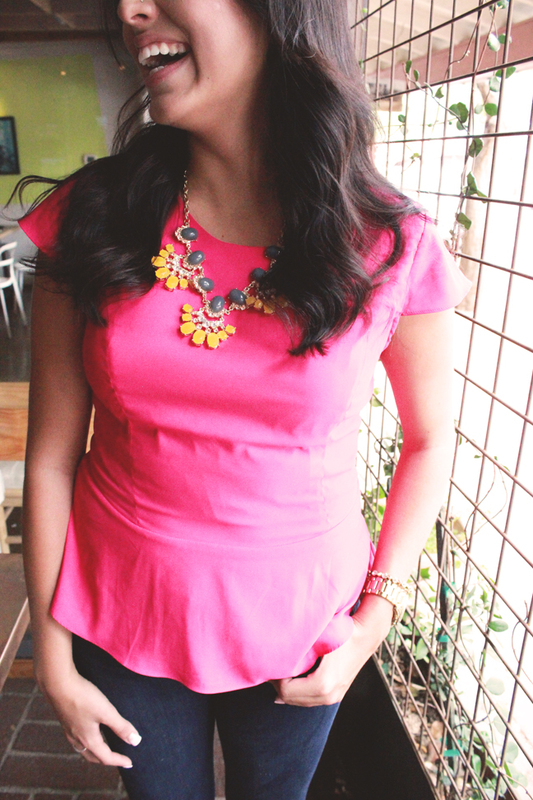 We love how It Girl Cristina pairs a simple hot pink peplum top with a bold necklace. It gives her shirt a whole new feel! The same can be done with plain tees, graphic tees, and your favorite chambray button down. Add a pair of dark denim jeans, and you've got a chic look in a snap. What basic items are a part of your wardrobe rotation? Tell us below! Oh and P.S. be sure to order your Erin Condren planner in time for Back to School season! 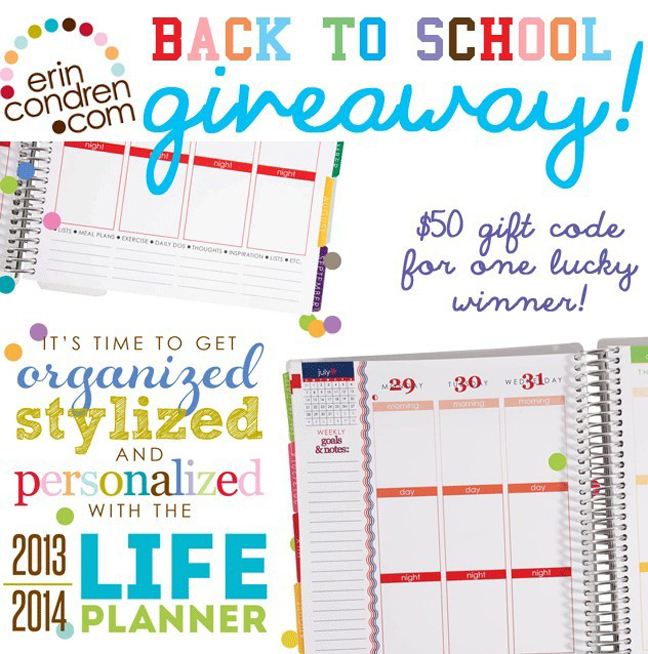 Just in time for Back To School, we've teamed up with Erin Condren to give TSS readers the perfect organizational necessity... the 2013-2014 Life Planner! It's stylish, it's personalized, it's everything you need to stay on track for a successful year ahead. Watch the video, need we say more?! We love the little touches, such as the adorable graphics and inspirational quotes sprinkled throughout. This planner brings smiles to all of your busiest days. 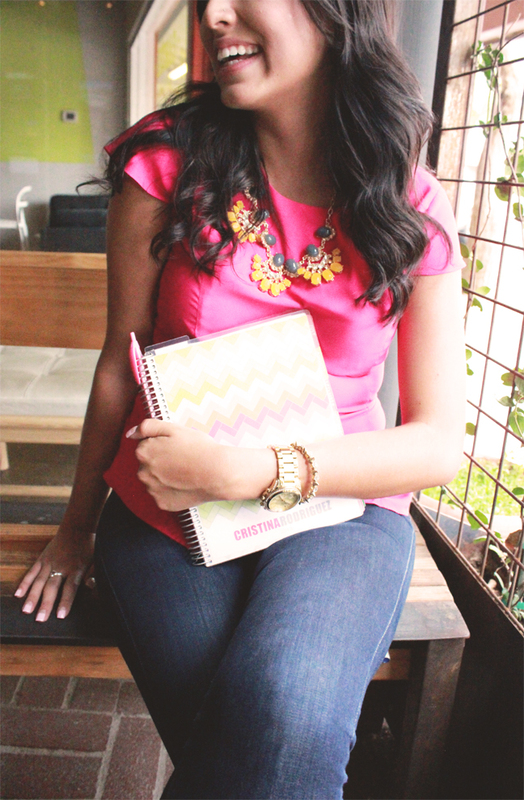 We use our very own Erin Condren planners in our daily lives; they're an organized and color-coded dream come true! Step 3: Leave a comment below, telling us how the Life Planner would help keep you organized! Make sure to leave your email address so we can contact you if you win! Good luck, and make sure to stay organized this coming fall with Erin Condren's fabulous planners!